We are all aware that we can recover data using iCloud or iTunes backup. This Primo iPhone data recovery will be able to retrieve all your data even if you don't have iCloud or iTunes backup. Primo iPhone data recovery free download is able to recover 25 different types of data from your iOS devices including SMS, pictures, important files and documents in no time. This Primo iPhone data recovery review will provide with all its features, advantages, disadvantages and alternatives. What is Primo iPhone Data Recovery? Primo iPhone data recovery free download is a software that is compatible with Windows or Mac. However if you lose your pictures or files, Primo iPhone data recovery can retrieve them. It is a free software provided by PrimoSync. There are three modes in which you can recover lost files and they are iDevice, iCloud and iTunes backup. Primo iPhone data recovery is able to retrieve data even without restoring your data. This data recovery is unlike iTunes backup and iCloud which erase and then replace all files. Primo iPhone data recovery not only recovers your lost files but also can fix your iOS device. This data recovery tool can protect your device from various system disorders or errors. What Files Can Primo iPhone Data Recovery Support? Personal data: This includes contacts, SMS, calendars, call history, notes, voice messages, safari history, and its bookmarks. App data: App data from iOS devices include app documents, app photos, app audios, app videos, and WhatsApp and its attachments. Media data: The media data are photos, photo videos, ringtone, audio books, thumbnails, music, videos, playlists, iBooks and voice memo. Recovers 25 types of data including third-party apps. Able to recover data from iCloud and iTunes backup. Fixes system errors on iOS devices. Scanning and data recovery is fast. The files for recovery seem huge with this software. The trial version recovers only a limited number of files. There is no option to check the files for recovery. Difficult to recover few files alone. The trial version is more tiring than the original. Takes long when the number of files is more. We offers Any iOS Data Recovery for recovering data from your iPhone. This Primo iPhone data recovery alternative is able to retrieve any data that you have lost. The program is compatible with all iPhone versions. It is able to recover data due to reasons like factory reset, virus attack, iOS update or downgrade accident deletion, system failure, locked, stolen and jailbreak. Any type of data like images, WhatsApp messages on iPhone, iPod and iPad can be retrieved with it. This exclusively allows previewing and is able to recover data selectively. During system failures, iCloud or iTunes cannot be used; Any iOS Data Recovery effectively brings all your data back. Step 1: Install UltData on your computer and connect your Apple device to it with the help of USB cable. Click "Recover data from iOS device" which is the default mode. Step 2: Now click on "Start Scan." This will scan your device's complete data. Step 3: Once scanning is done, you can see that all your data is segregated into many categories. You can check the files you want to recover from these categories and then click "Recover". This article gives a detailed analysis of Primo iPhone data recovery software and Tenoshare UltData iPhone data recovery. We have also noted that UltData by Tenorshare is the best Primo iPhone data recovery alternative. 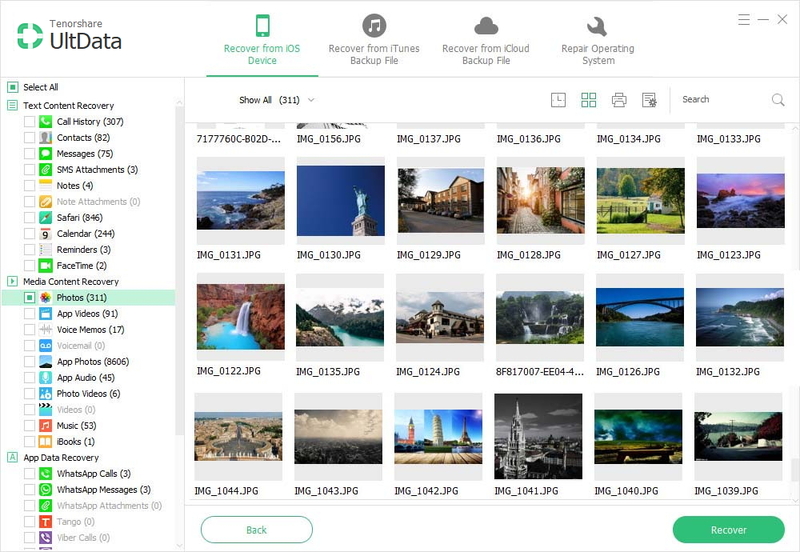 UltData is more efficient, fast and clear for recovering your lost files from your iOS devices. This is an amazing tool that can retrieve all your files in any case. You can choose to recover them from any of the three methods given. 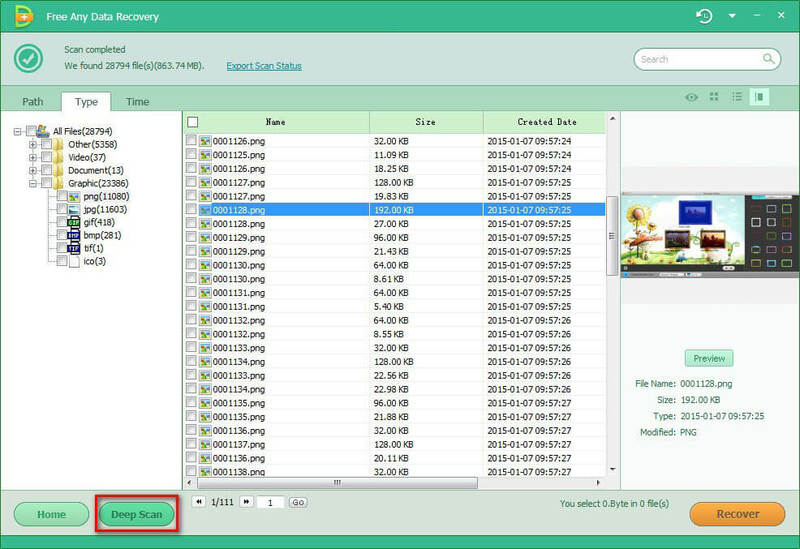 UltData is capable of recovering over 20+ kinds of files from your device easily. Hopefully, these facts and guidelines will keep your data safe and secure. Go for it!